When Los Angeles Kings forward Simon Gagne returned from a concussion during the Stanley Cup Final, the veteran told reporters he was trying to view the series as "a last chance" to claim hockey's most coveted trophy. Gagne had been close twice before, and he knew, whether it was injury or just the difficulty of winning a championship, that opportunities like the one the Kings had might not be available in abundance in the future for a 32-year-old. Not only did Gagne and the Kings complete a remarkable run to the franchise's first Stanley Cup, but they might not have to wait long for a chance at claiming it again -- and he could play a vital role. 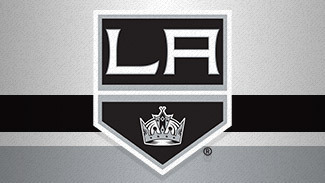 The Kings return every player who dressed for a 2012 Stanley Cup Playoff game, and given the lack of marquee moves by other top contenders from last season, Los Angeles looks set to enter the campaign with maybe the best chance to repeat as champion since the Detroit Red Wings won again in 1998. Not only is everyone back, but Gagne will have had a full offseason to get healthy. He missed the final 47 games of the regular season and the first 16 playoff contests, but was back in the lineup for Games 3-6 during the Cup Final. He logged a little more than 32 minutes of ice time in those four games, but the mental relief they provided to a player who has dealt with multiple long-term injuries, including multiple concussions, was significant. "The way things were going, I was confident I was going to be OK, but if you had to wait the whole summer before playing a game, it is a long wait," Gagne said during the Final. "It could have been a long summer to think about it, maybe putting a little bit of stress on yourself. Not the type of stress you want to have in the summer -- summer is the time to get ready for next season and relax and recover and get ready. For me to come back and be able to test myself and play and feeling good about it, it was something that I was really looking forward to." Now that the Kings might have Gagne at full health, he could be like a new signing in 2012-13. The Kings struggled to score last season until they traded for Jeff Carter and promoted Dwight King, Jordan Nolan and Slava Voynov to bigger roles. With unrestricted free agent Dustin Penner retained on a one-year contract, there might not be a spot in the top six forwards for Gagne, but that could make him one of the League's top third-line threats. Gagne averaged nearly 41 goals in the three seasons he was able to stay healthy from 2005-09, but there also was a campaign cut to 25 games mixed in. He hasn't played more than 63 games in any of the past three seasons, and has 41 goals in those seasons combined, but even 15-20 goals from Gagne would offer scoring depth the Kings didn't have last season. More than that could make a club already dominant at preventing goals downright frightening at the offensive end as well. Gagne will be a free agent at the end of this season, but 2012-13 will be another chance for him to chase the Cup while trying to prove he can still play at a high level and stay healthy. "I think the main thing was that the team and the medical staff, the doctors -- they gave me the time to rest and come back 100 percent," Gagne said. "I was skating in March and I was feeling pretty good, but not good enough, not 100 percent. I was maybe 95 percent, but that was not good enough for me, for the team, for the doctors. I have to say in the past I went back and played at 95 percent with that type of injury. I think the medicine is getting better. The doctors are more aware of that injury, and I think you are going to see guys take more of the time to come back. We're starting to learn a little bit about it. "After about three weeks after the injury, I knew it wasn't really similar to what I had in the past. It wasn't that bad. Because of my [history] with this injury, we took double caution with the doctors and made sure that I got the right rest, the right exam, to make sure everything was fine. That's what we did, and now I have to say I give total credit to our doctors here in L.A., the medical staff -- they really put me in the best situation for me to get back and be 100 percent. The more we kept playing and the more we kept winning in the playoffs, I was like, ‘Oh, maybe there is going to be a chance for me to come back and test it before next season.' "